Chlorophyll, a pigment found in plant leaves, is responsible for converting sunlight into energy via photosynthesis. Measuring chlorophyll content is important as they are closely related to the nutritional condition of the plant. Furthermore, chlorophyll content may also be used as an indirect indicator of nitrogen levels in fertilizer to prevent over-fertilization. Traditionally, measurement of chlorophyll is done using the wet chemical extraction method. It involves extracting plant tissues and sending it to a laboratory for analysis. This method not only damage the plant, it is also time consuming and costly. Unlike the traditional method, the use of chlorophyll meter is often preferred as it provides fast and easy measurement of chlorophyll without the need to cut off leaf samples. 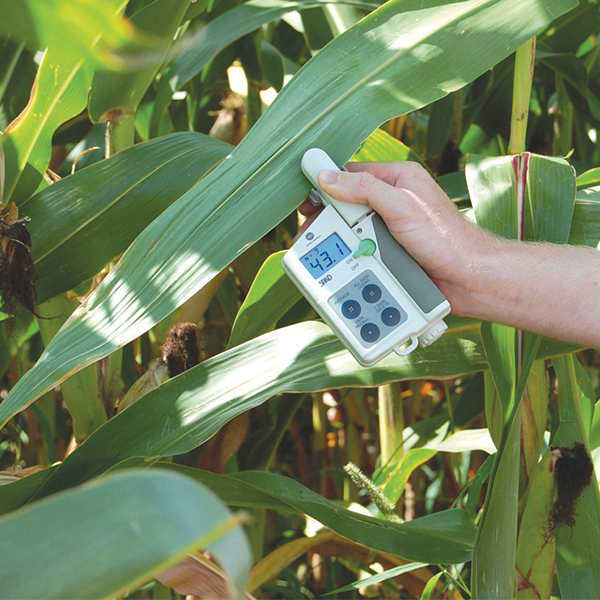 The Konica Minolta Chlorophyll Meter SPAD-502Plus, adopted by many researchers and growers, provides instant and non-destructive on-site measurements of chlorophyll. The SPAD-502Plus quantifies the amount of chlorophyll by measuring the absorbance of the leaf in two wavelength regions. Researchers and growers can monitor their crop growth with ease, improving the quality and yield of their agricultural products. For more information on how to determine the amount of chlorophyll in plants, write or contact us at 6563 5533 for a free consultation with our color specialists.